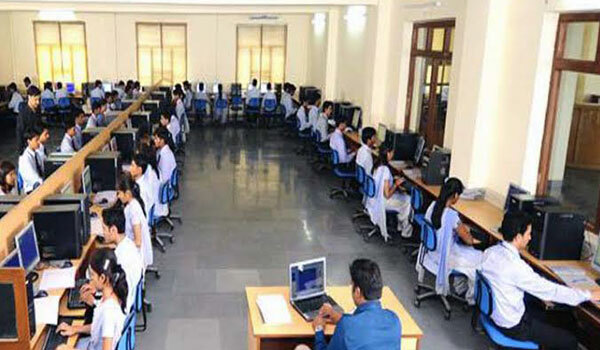 B.Tech in Information Technology is a four years full time graduate degree program, comprising two semesters each year. This program is approved by AICTE and is affiliated to Dr. A.P.J. Abdul Kalam Technical University, Uttar Pradesh, Lucknow. The vision of the IT department is to be the leading provider of state of the art technologies and services in support of excellence in learning. The mission of the IT Department is to support our Institute by providing quality maintenance, IT support, and application development for district employees who use Student and Business Systems. Information Technology Department values high quality service, integrity and leadership. The IT department is committed to provide superior services by implementing defined, repeatable and measurable processes and procedures aligned with industry best practices. Complete the implementation of a project management office within the IT Department. To manage the portfolio of district technology initiatives. Information and Technology has an immense potential in the domestic as well as in the global corporate world. The IT engineering department caters knowledge and expertise to the young professionals having a flair for information technology, to use the skill and knowledge for the betterment of the humanity. The Curriculum (syllabus) of the course is based upon Dr. A.P.J. Abdul Kalam Technical University, Uttar Pradesh, Lucknow. The students are put on various software development projects based upon latest requirements of industry.